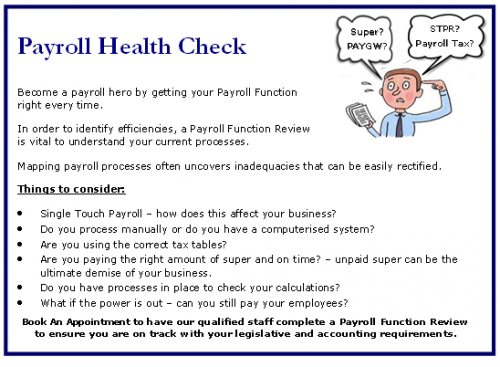 We specialise in periodic reporting and cash flow projections to help achieve goals for you and your business. We pride ourselves on educating our clients to make their numbers work, including offering free seminars on the fundamentals of cash flow management. 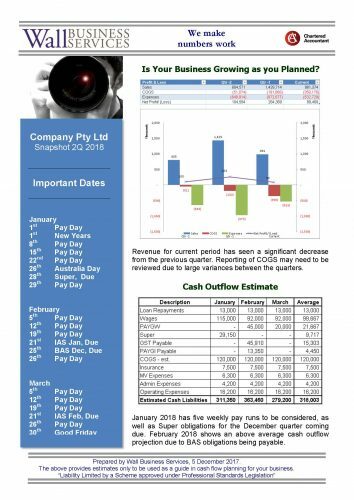 Our team has developed a range of resources to assist managing cash flow specific to client needs, including budgets, liability projections and calendars.